The Balmoral Post Mount Mailbox is a beautiful mailbox that combines classic lines with super functionality to handle all of your incoming and outgoing mail. It measures over 2.2 cubic feet. The Balmoral Mailbox has more than 3 times the capacity of a standard mailbox. 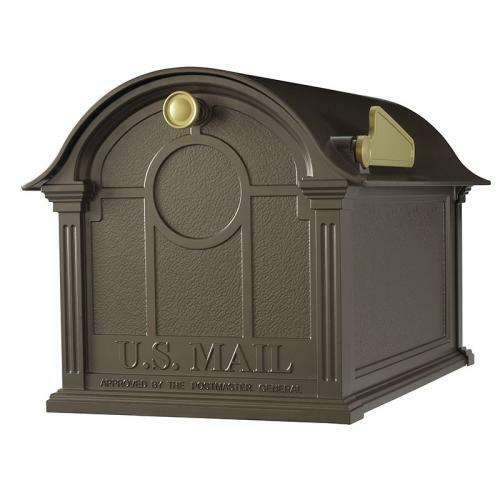 The durable aluminum construction includes a lifetime limited warranty and the weather resistant powder coat finish will keep the Balmoral Mailbox looking great for years to come!